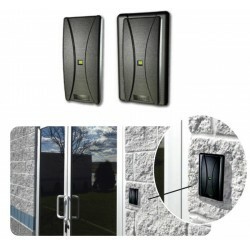 Access Control systems are mainly used to restrict access to a property or building. They determined who is allowed to enter or exit, as well as the time and dates this is authorized. 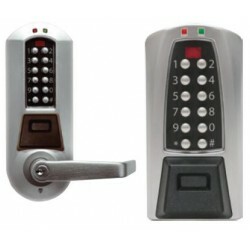 Instead of strictly keys to control access, usually proximity or magnetic cards, or keypad combinations are used. hese are usually tracked and recorded for auditing proposes. When the card or combination is presented to the reader or keypad, and access is granted it will open the lock for a predetermined amount of time. If access is refused the door remains locked and the attempt is recorded. Access Control There are 3 products. 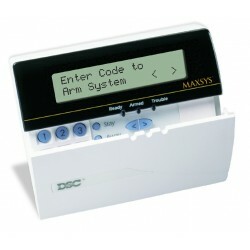 The DSC Maxsys Alarm System with Access Control is a hardwired alarm system, which allows an access control module to be added. It has a 32 reader capacity, 64 user access levels, 99 date schedules, and 4 holiday groups. It allows the access control to work with the alarm to arm and disarm without accessing a separate keypad, as well as allowing access.